Take this opportunity to enjoy a great Madrid experience during this 4 hour private tour of the city with your own private guide and private luxury vehicle with chauffeur. Enjoy some of Madrid’s most emblematic monuments and attractions like Royal Palace of Madrid, the famous Alcalá gate, and Cibele’s fountain, among many others. 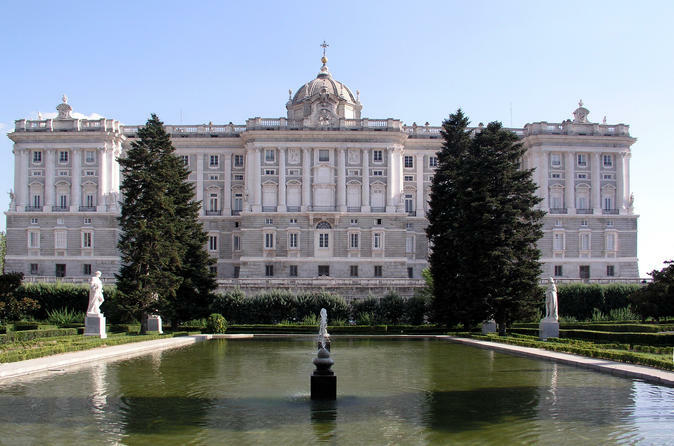 Enjoy this private 4 hour tour with your official tour guide and get to know Madrid’s most emblematic sights very comfortably in your private vehicle with chauffeur. Choose between a morning or afternoon departure directly from your hotel or place of choice. You are able to personalize your experience by contacting the local tour operator after booking. The tour will start off by including a hotel pick up and start heading towards the Plaza de España, then head through the Barrio of la Morería and enjoy the sights of the city’s medieval origins. Once you are there, and after you have seen this great historical part of the city, you will be able to enjoy the Royal Palace of Madrid. The tour will then continue towards Cibele’s Fountain, a very important celebration point for the Real Madrid followers. You will also have a chance to enjoy the famous Alcalá Gate where you can just picture the scenery. The tour will also take you to the Gran Vía and the famous Paseo de la Castellana. Once here, you will be able to enjoy the Barrio Salamanca and see the difference between the ancient Madrid and the modernist Madrid. Along this ride, you will see the Real Madrid Stadium (Santiago Bernabeu), as well as the great bullfighting ring, Las Ventas. The tour will continue along to Plaza Colón and enjoy the great and emblematic Parque del Retiro. When the tour is finished, your private vehicle will take you back to your hotel or place of choice.